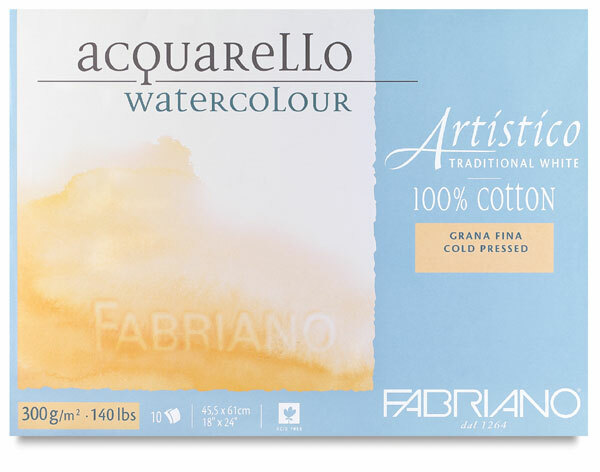 Fabriano Artistico Traditional White Watercolor Blocks are glued on four sides and are perfect for Plein Air painting. They are made from 100% cotton, are double-sized and are acid-free. The traditional warm white shade is created without the use of optical brighteners. Available in cold press, hot press, and rough grain surfaces. 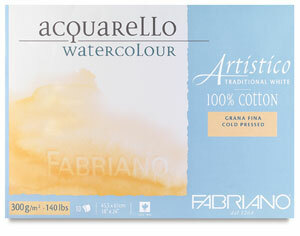 Excellent for all water media, drawing and charcoal. Hot press is ideal for pen and ink.